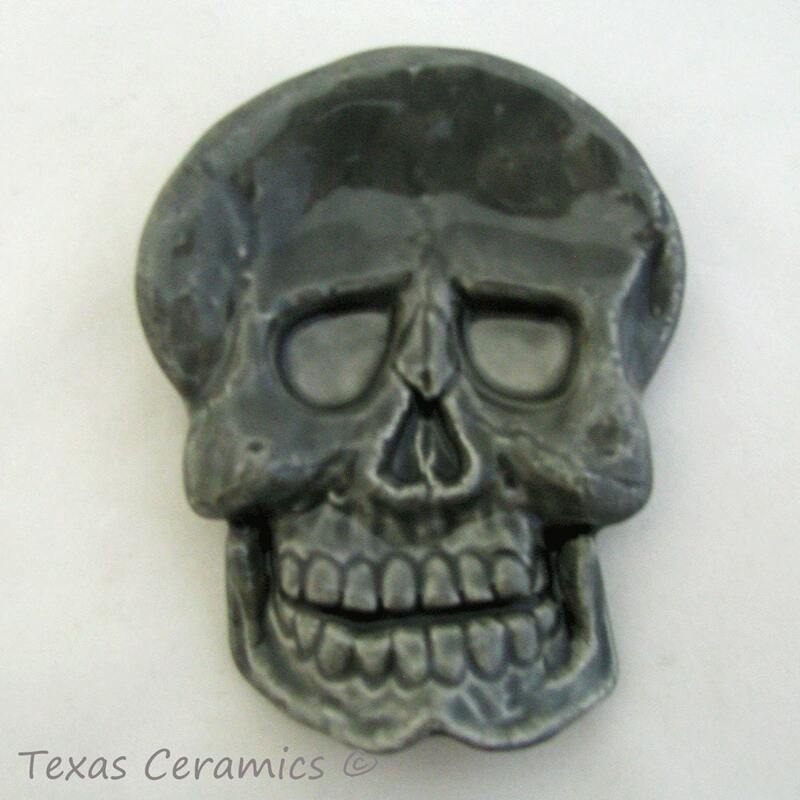 This ceramic skull is finished in grey. 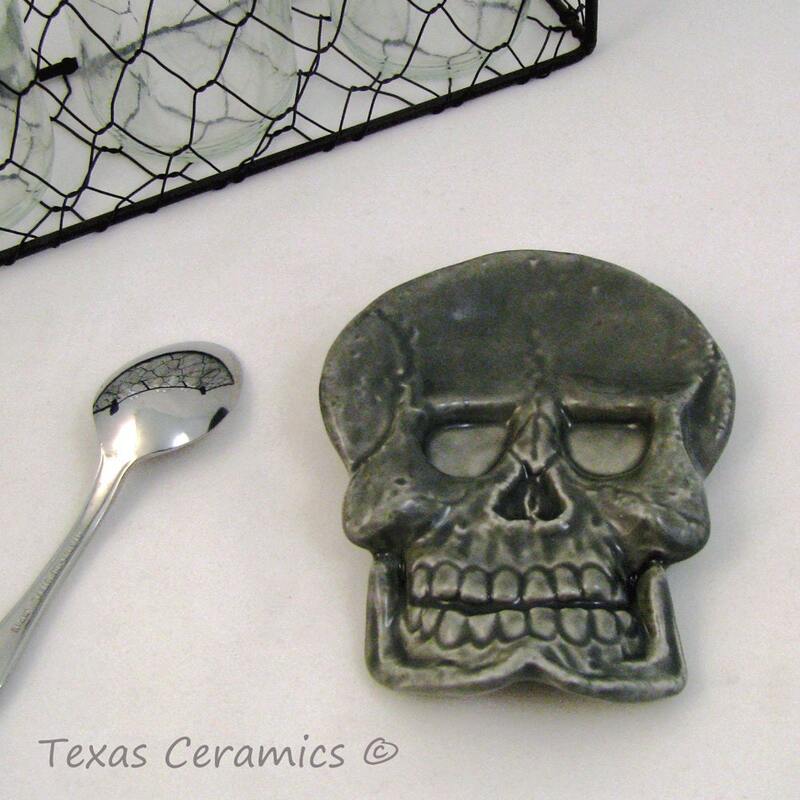 The ceramic skeleton head can be used as a tea bag holder or spoon rest but can be used as a desk accessory or just about anywhere you desire. How is it made? Each skull head is made with ceramic slip and a ceramic mold for uniformity. Each piece is kiln fired and sealed with a non-toxic glaze. I have been making tea bag holders since 2004 and have a variety of colors & themes available. 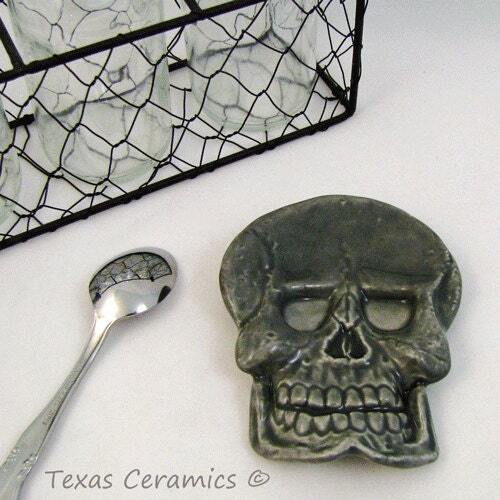 The grey skull is dishwasher safe and food safe, it is cast solid for added durability. The human skull head measures 4 inches wide x 4 inches long.